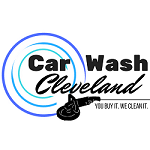 Getting outside to hand wash and detail your vehicle can be a lot of fun. Your vehicle is a big investment and most people enjoy giving their investment some TLC. But, once the temperatures outside start dropping in winter this “fun” chore loses a lot of its appeal. 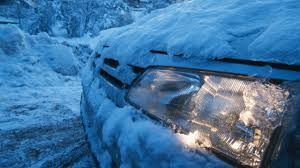 However, winter is the time of year when your vehicle will be most in need of that TLC. Here are a few reasons why you should consider mobile detailing during the winter months. Winter brings its own special challenges when it comes to vehicles, inside and outside. You are probably well versed on how to protect the internal mechanics of your car during winter, but the exterior of your car is in more danger during winter months too. Winter precipitation carries with it a lot more dirt and grime than regular rain fall. Sleet and snow are solid and collect a lot of stuff you do not want on your car’s paint job. Freezing temperatures make it more difficult for this debris to move off your car too. The longer dirt, grime and dust stay attached to your vehicle the more chance you have of causing permanent damage to your paint job. If your area is experiencing winter precipitation, then your vehicle is being exposed to road salt every time you drive it. Road salt can be extremely harsh on a paint job, and cannot be easily rinsed off with a hose or in a drive through car wash. To remove road salt properly a vehicle needs specialized attention. Maintaining a good resale value is important to most drivers. Getting your car regularly detailed during the winter will ensure that your resale value is not negatively affected by harsh winter weather.